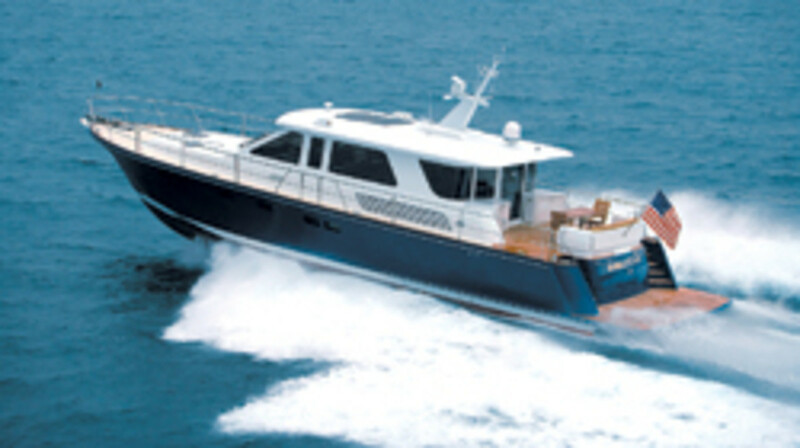 The Global Arrow 68 Express is the newest offering from Taiwan-based Global Yacht. The low-sheer, rakish design, courtesy of C. Raymond Hunt Associates, also comes in a flying-bridge version called the Global Arrow 68 FB. 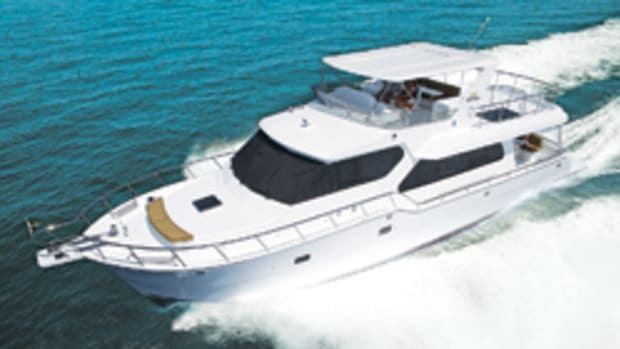 Aside from the added space, weight, and vertical clearance the flying bridge brings and the addition of extra fore and aft stairways, the two models are fundamentally the same. 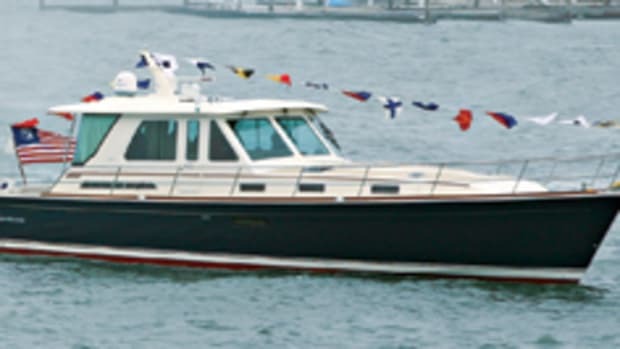 In either configuration, the 68&apos;s features make her a good coastal cruiser. 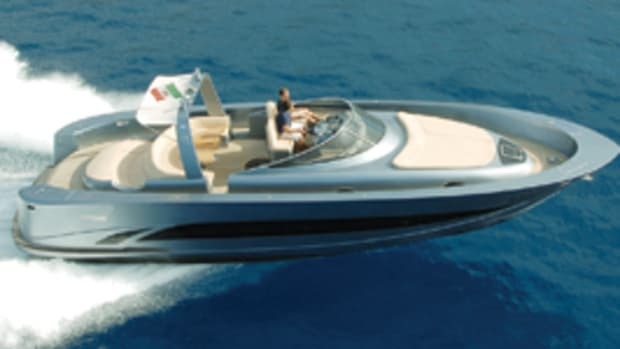 Global Yacht says her standard twin 1,550-bhp Caterpillar C32 diesel inboards provide a cruising speed of 26 knots, a WOT speed of 31 knots, and a range of 405 NM at 20 knots from her 1,560-gallon fuel capacity. But it&apos;s not just the output of the engines that makes for a better cruiser; it&apos;s also how they&apos;re housed. The engine room on the 68 has full walkaround access for both Cats. One of the design features that allows this is the placement of batteries boxes under the centerline diamond plating. Extra space makes maintenance easier, and so does better organization, such as having all A.C. units together on the starboard side. To improve interior comfort during passages, the builder has opted for low-back Stidd helm seats, complete with cup holders. Other interior furnishings are up to the buyer, and Global Yacht expedites the process of selecting an interior decor by giving each client 20 hours of no-cost consultation with an in-house stylist to help choose drapes, bedspreads, pillow shams, wood finishes, fixtures, and appliances. 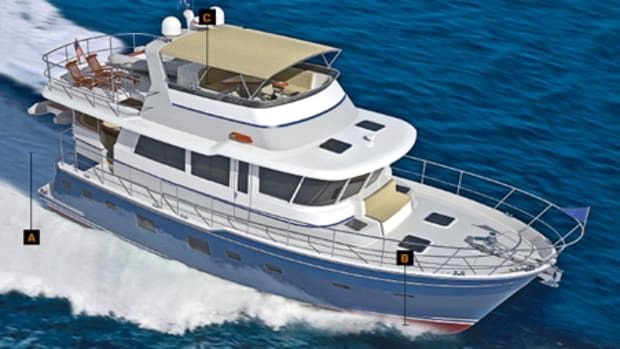 The consultancy seems logical, as there are a lot of cushions that need to be covered, from those on the aft-deck settee perched between port and starboard stairs that lead up from the swim platform and crew quarters to the throws in the three staterooms below—each with a private bath. 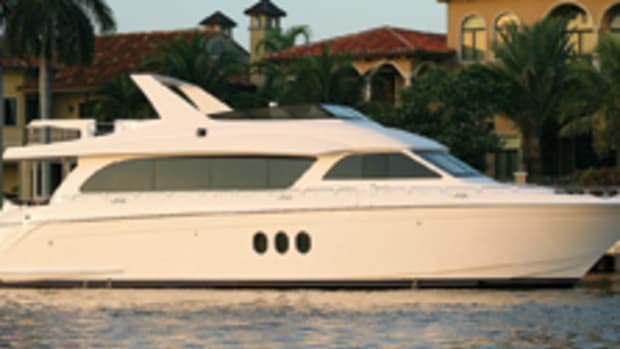 For more information on Global Yacht Builders, including contact information, click here. 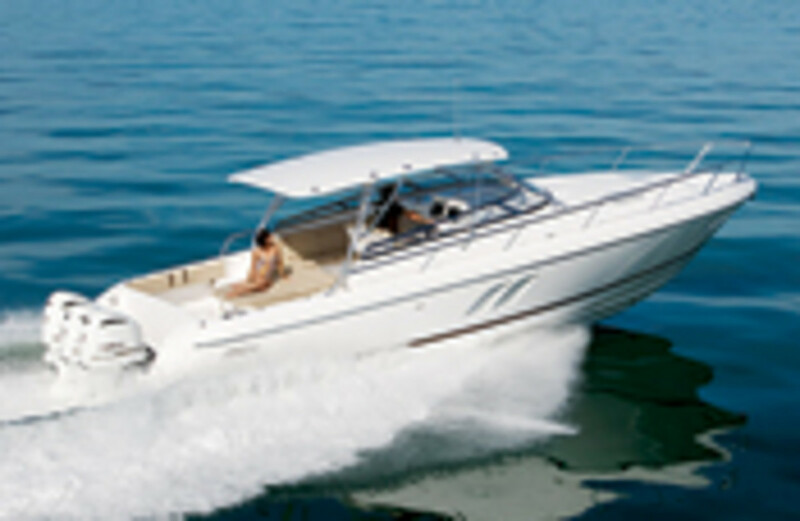 The Intrepid 430 Outboard Sport Yacht is a PVC foam-cored, vacuum-bagged speedster. 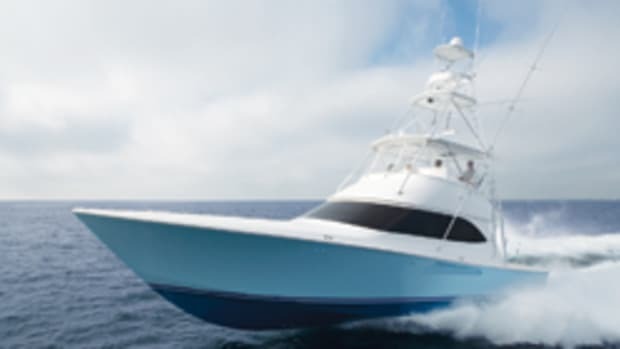 With three 350-hp outboards she will do around 55 mph, says Intrepid—not a bad clip for a 43-footer that sleeps as many as five adults with the help of convertible settees. 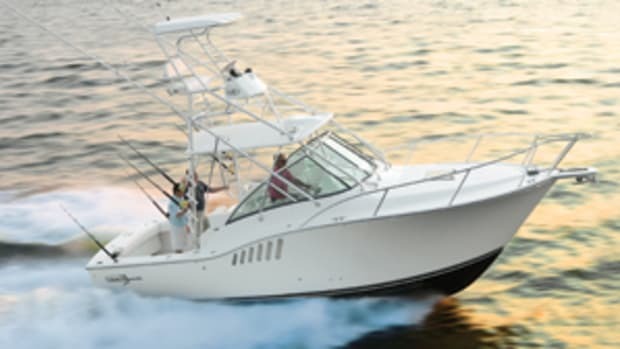 To further blend the performance of a go-fast boat with the amenities of a cruiser, the 430 is available with a long list of options, such as 4- or 8-kW diesel gensets, cabin and cockpit air conditioning, bow and stern thrusters, and a transom shower. 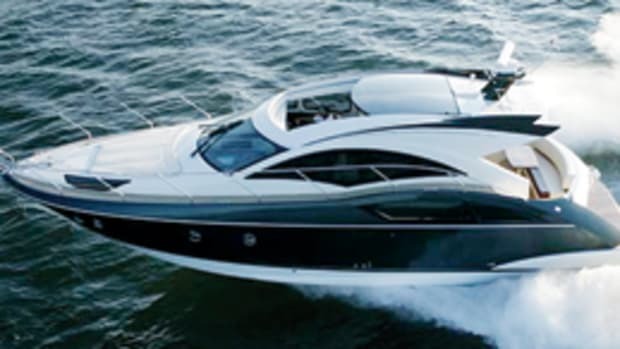 And to help protect your vessel and ensure a long lifespan, a rubrail inset with stainless steel is standard and Kevlar construction is optional. The MSRP for the 430 is around $475,000. 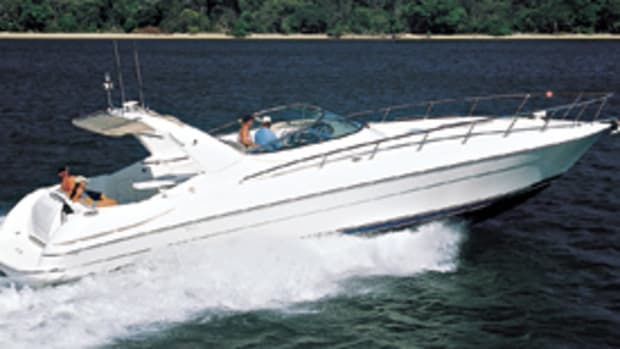 For more information on Intrepid Boats, including contact information, click here.